Using coffee filters as a stabilizer for my string blocks I finished the tops for 2 placemats. 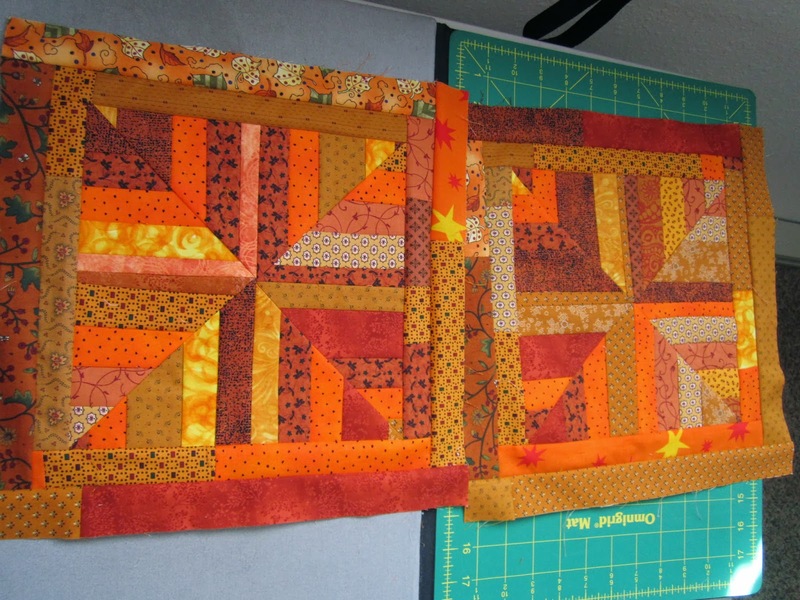 Blocks are 5.5 inches unfinished and then sewed 1.5 inch unfinished strips together to go around the blocks twice. 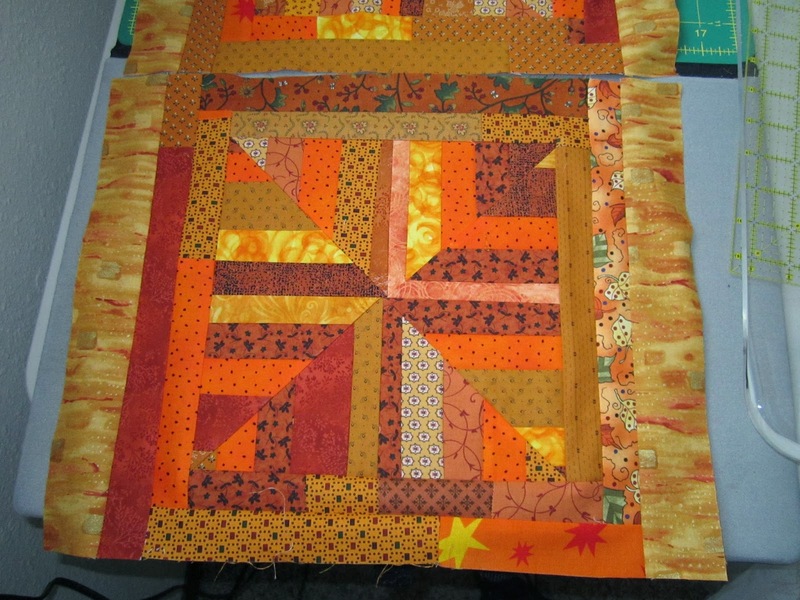 Love using up the scraps and orange is a favorite color. 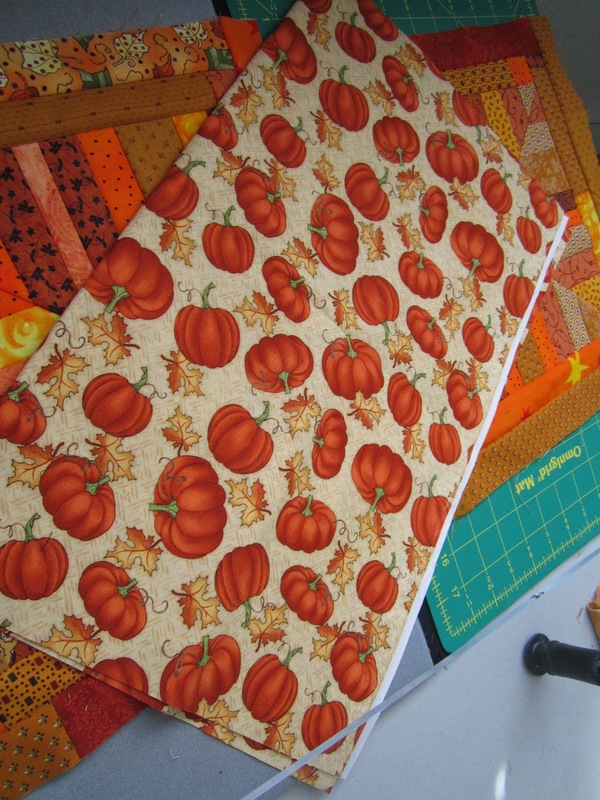 Background fabric for the placemats purchased at my new quilt shop, The Quilt Nook, in Gillette, Wyoming.